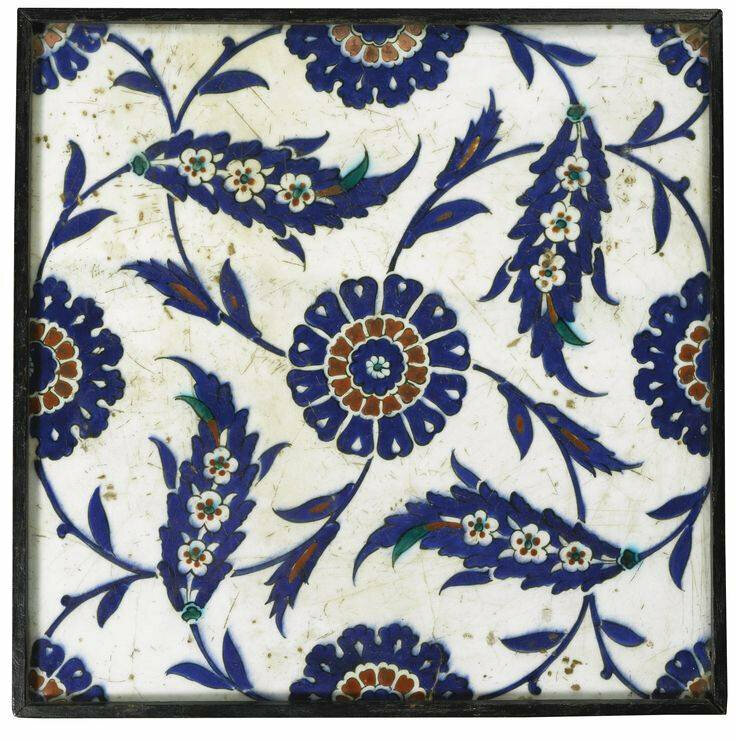 Lot 161. 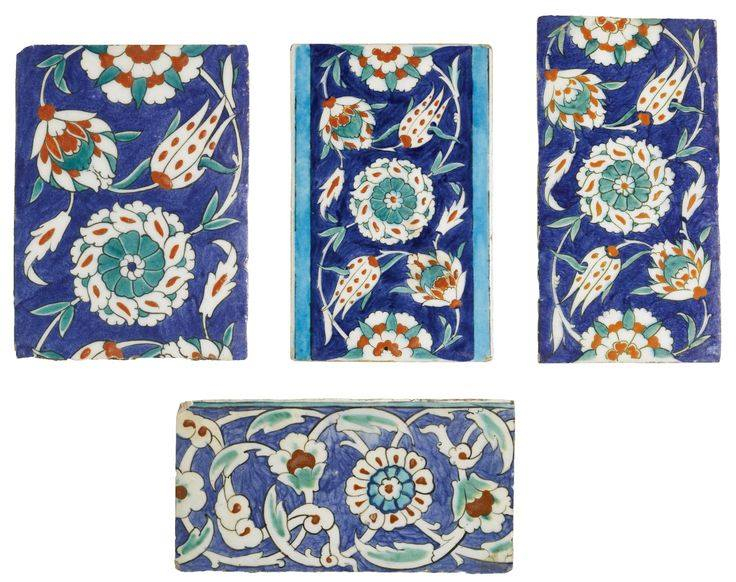 Four Iznik polychrome pottery border tiles, Turkey, 1575-85; 16.2 by 26cm, 13.3 by 25cm, 13 by 25cm, 13.2 by 17.8cm. Estimate 4,000 — 6,000 GBP. Lot Sold 10,000 GBP. 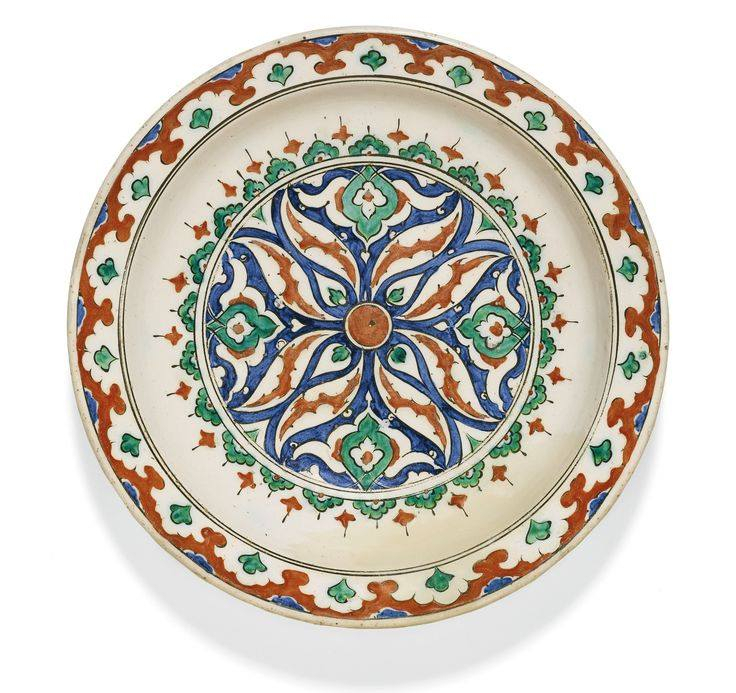 Photo: Sotheby’s 2014.
of varying sizes, three decorated with green, white and relief red scrolling tulips, carnations and rosettes on an underglaze cobalt blue ground, one with turquoise borders, the fourth with thicker scrolls on a lighter blue ground, each with old collection label to underside.